New Plasma-Fueled Rocket is 165 Times Faster than Speed of Sound! Most of us only learned about three states of matter while in school: solids, liquids and gases. 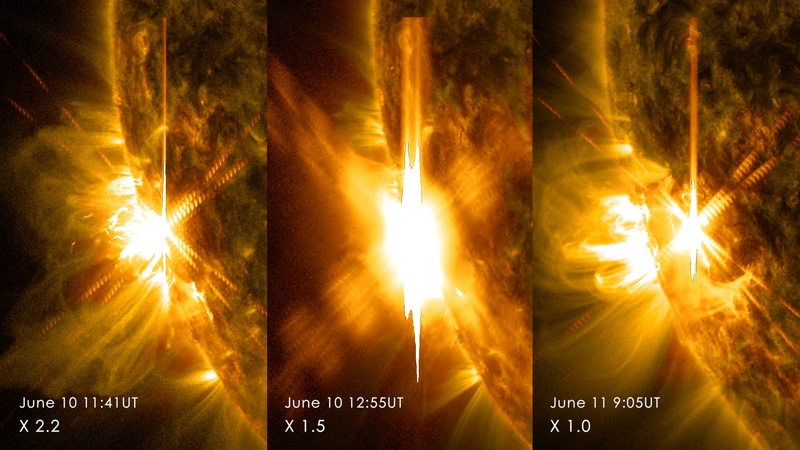 But there is a fourth state as well- it’s called plasma. You’ve probably seen a plasma globe before, but lightning, our Sun and all stars, and even the gas you see in a neon sign are all every-day examples of plasma as well. Plasma is basically a gas with such high energy that the molecules begin to ionize- that is the positively and negatively charged components of the gas molecules break away from one another. Because of this ionization, an electromagnetic field can be used to focus the plasma in a specific direction. Although using plasma for propulsion was first proposed in 1977, it is just now becoming a reality with the advent of new technologies. 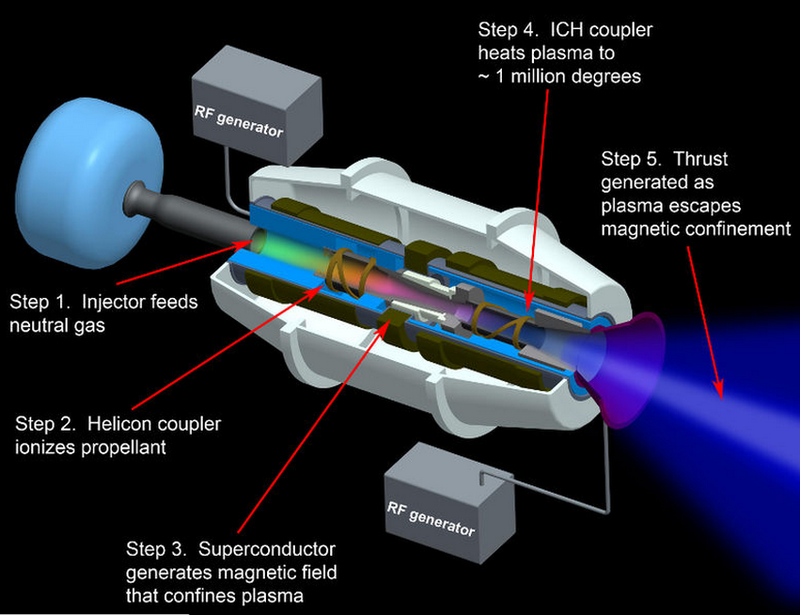 The VASIMR (Variable Specific Impulse Magnetoplasma Rocket) Plasma Rocket, which is now being tested out by NASA, uses a renewable energy source (radio waves in the form of light which are plentiful in space) to heat Argon gas until it reaches its plasma state. The rocket then uses an electromagnetic field to focus the plasma, creating a propulsion system. Developers estimate that the VASIMR Rocket will be able to travel at speed up to 126,000 mph (that’s 35 miles every second). The speed of sound is a sluggish 761 mph. Because of its speed and use of renewable energy sources, the VASIMR greatly increases the limitations of our exploration, allowing us to explore parts of space that we never could before. But what has NASA scientists most excited is the VASIMR’s application for Mars missions. Currently, the journey to Mars requires too much fuel to make a return trip feasible. 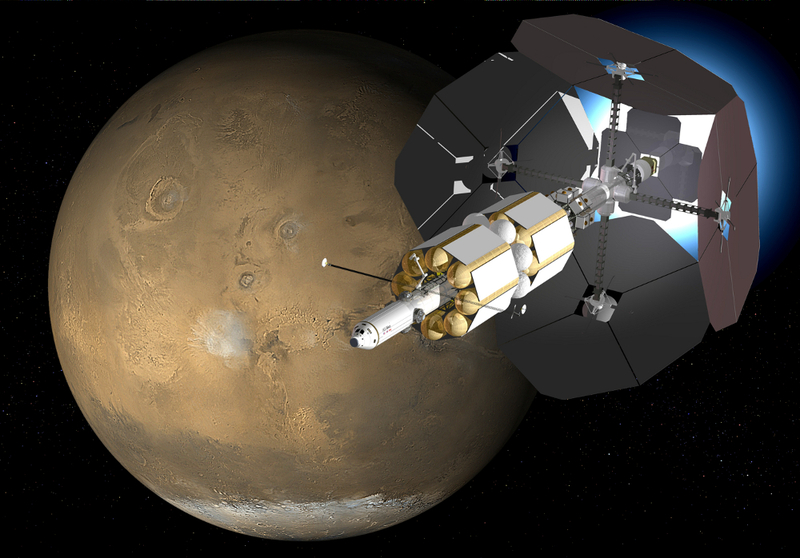 However, since the VASIMR can make this trip in just 39 days (almost 6 times faster than current methods) and employs renewable energy, it makes round-trip missions to Mars a reality.